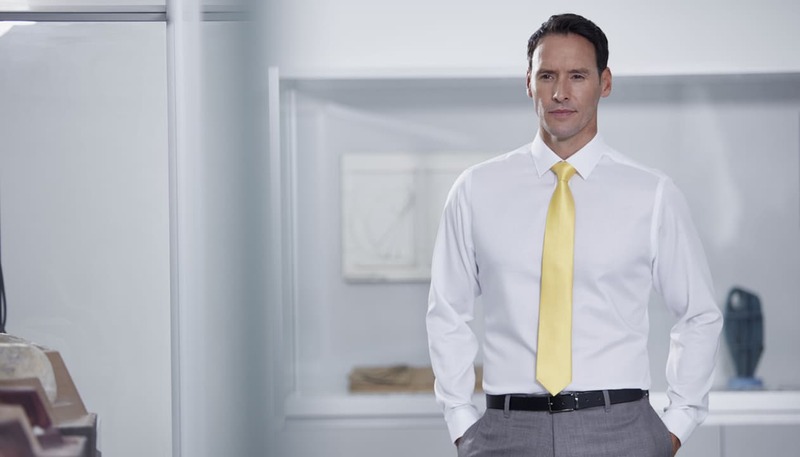 Beautifully tailored, the slim fit shirt is a much closer fitting garment. Slimmed down through the torso, across the back and through the sleeve, with the addition of two back waist darts for a modern silhouette. This new slimmer fit shirt by Double TWO is accentuated with a narrower front placket and cuff with a new collar shape. Applied throughout our seasonal collections you will see warm handle country checks, city shirts in our award winning Paradigm Microtwill fabric and on-trend stripes and checks in a range of wearable colours. Shop men’s Slim Fit Shirts at Double TWO.